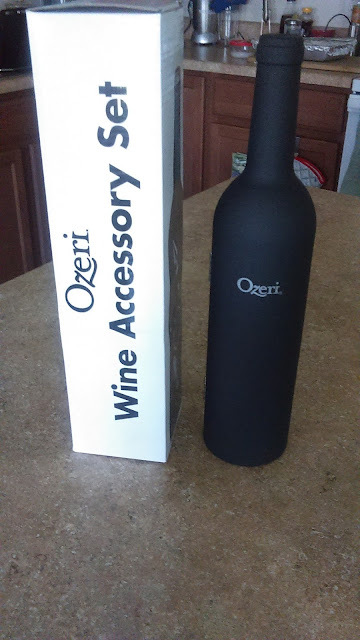 I'm normally a wine drinker-- I haven't had a drink in almost a year since I was pregnant, and now that I'm nursing my baby girl, I'm avoiding alcohol altogether. However, I can still entertain family members and friends and offer them a glass of wine when they come over. 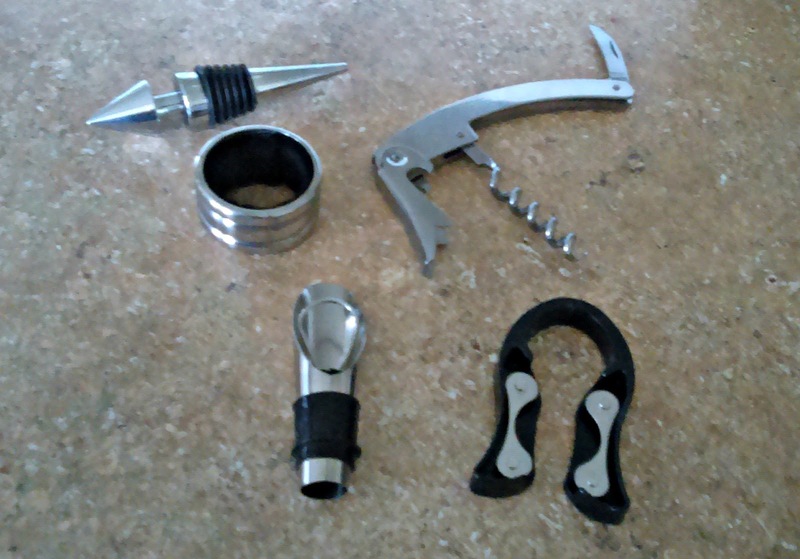 It's nice to now own a kit full of useful accessories for when we're ready to enjoy a bottle. First off, I really like the design of the product. 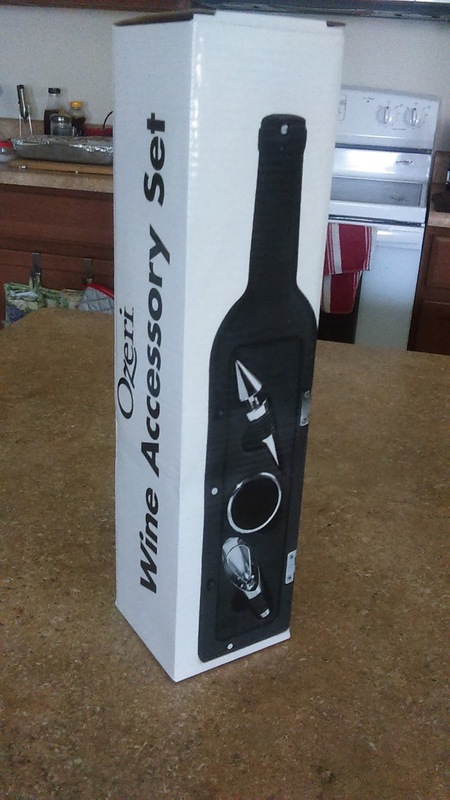 What a clever idea--making the accessory kit to look like a wine bottle. It opens and closes easily and is magnetic. It comes with 5 accessories that are easy to insert and remove from the case. 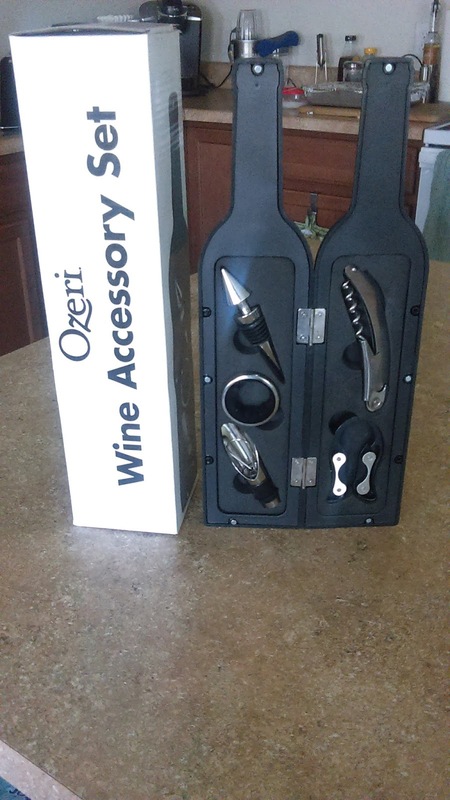 Whether you're having company over or just enjoying a glass of wine by yourself, these accessories are nice to use. They are all pretty good quality and durable, which is not surprising since they are from the Ozeri brand. You can purchase this product here on Amazon.